Descriptions of the Chelmsford riding school events can be found by clicking on this link. £215.00 for Pony Camp only. New clients must be assessed prior to booking an event. 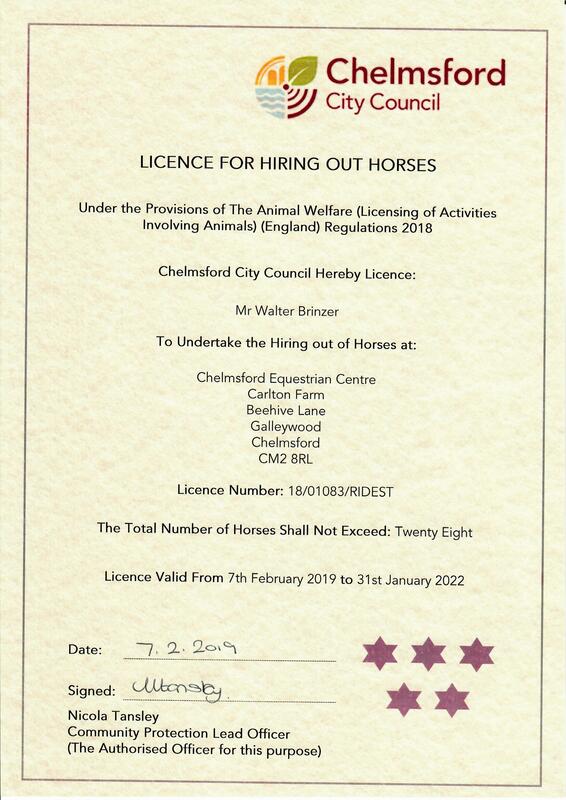 If horse hire is required, the rider must be assessed on the desired horse prior to the event. We require all riders to wear riding hats, and boots and gloves in events. Riding hats must meet the current BHS safety standard. Current standard safety hats and riding boots are available from Reception for a nominal charge of £1.00 for each. For details of the Chelmsford Equestrian Centre Rider Dress Code, please see our website or contact us. For full day events, including Pony Rally/CEC Saddle Club days, please make sure you bring a packed lunch and plenty of drinks and snacks to last you throughout the day. Payment must be made at the time of booking. We accept cash, credit, and debit cards as well as cheques. Cancellation must be made at least 48 hours in advance, and 7 days in advance for our Pony Rally. We do not offer any refunds after the cancellation period has expired. Please note: This is a provisional calendar. Additional events may be added at any time and events may be cancelled if necessary.